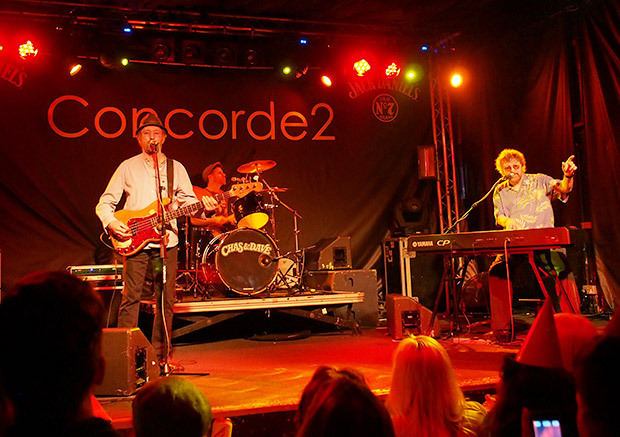 Sat 20th April 2013: BY THE SEASIDE WITH CHAS AND DAVE! 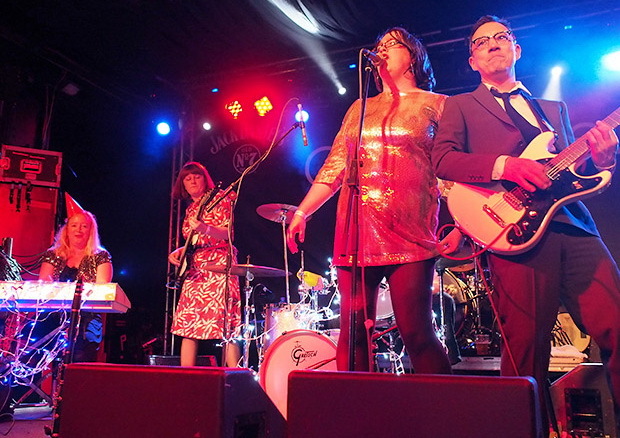 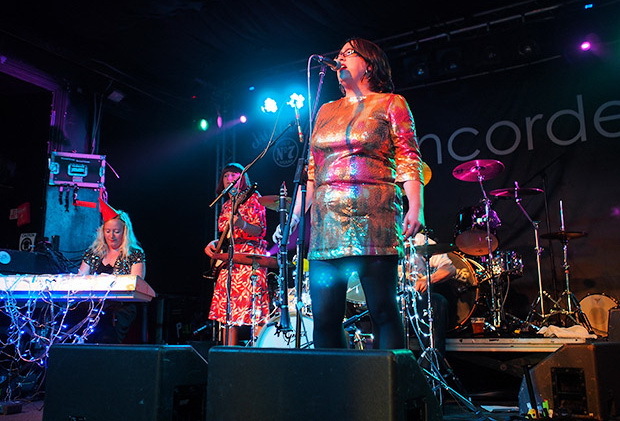 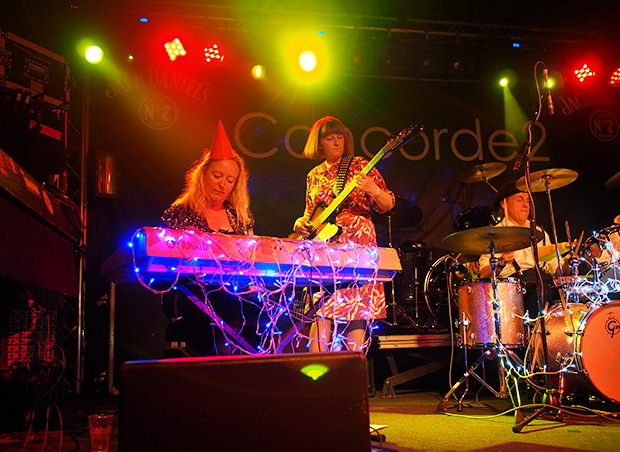 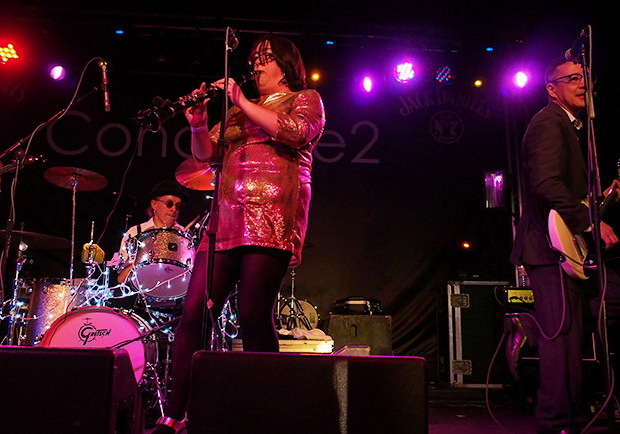 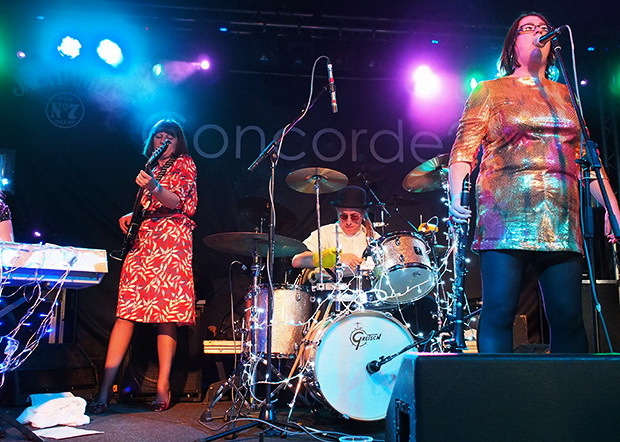 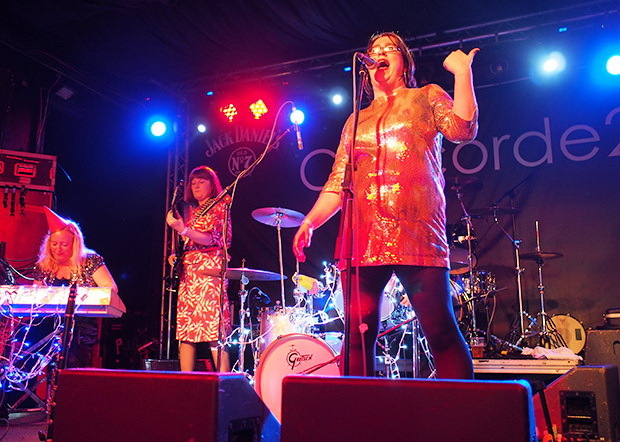 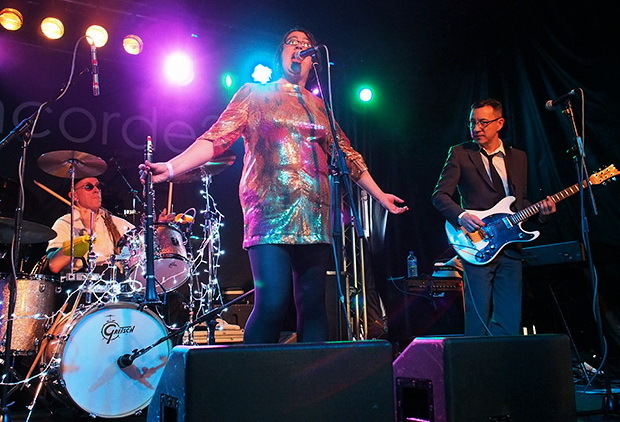 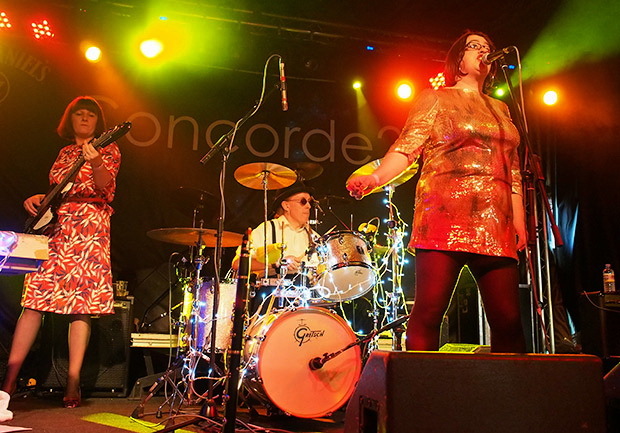 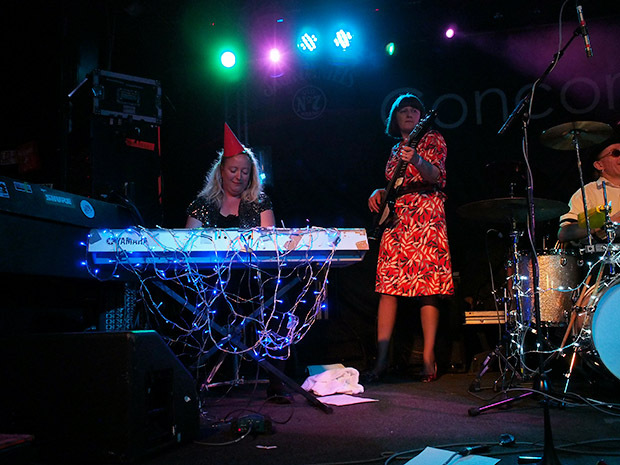 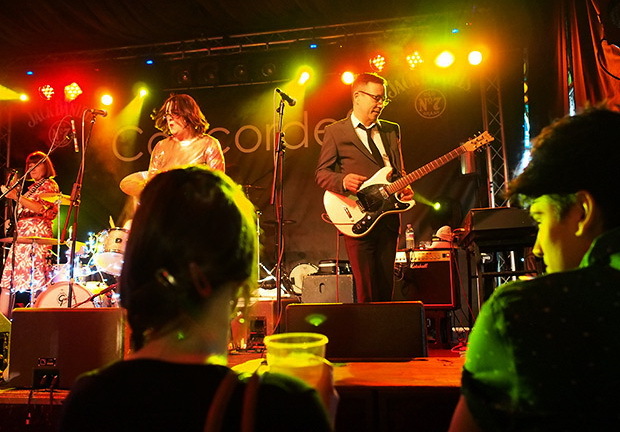 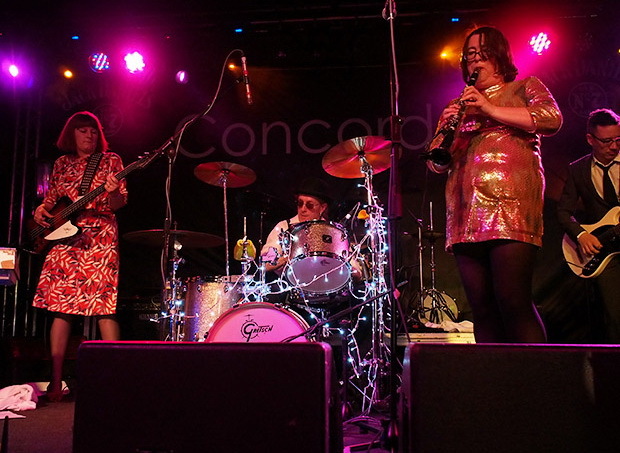 We had a fantastic night on the south coast with the Mrs Mills Experience opening up to a packed Brighton crowd at the Chas and Dave show at the Concorde 2. 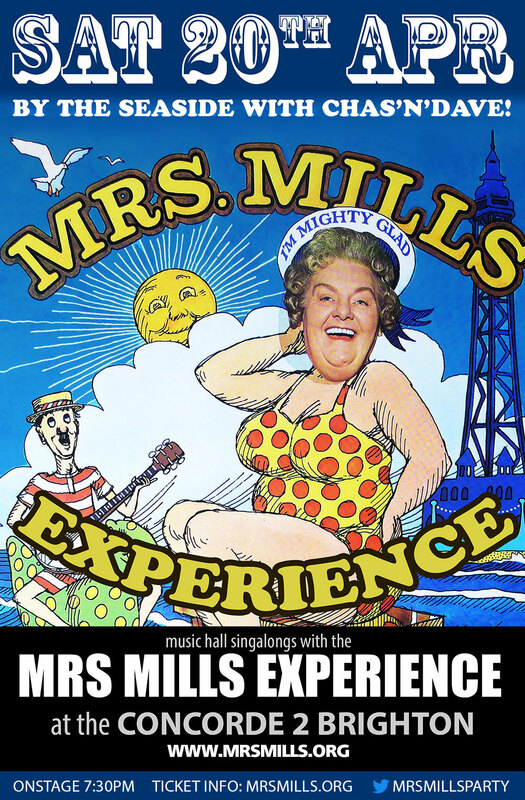 We played the usual lively Mrs Mills' singalongs to a fantastic crowd, and then we joined in with a knees up at the front to Chas and Dave afterwards! 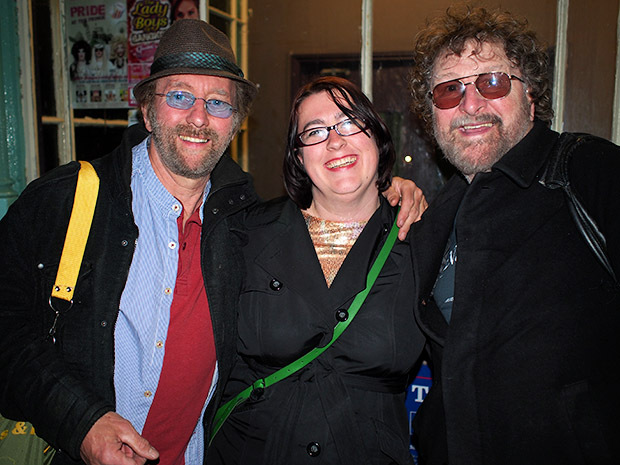 Chas and Dave with Nicola from the Mrs Mills Experience backstage. 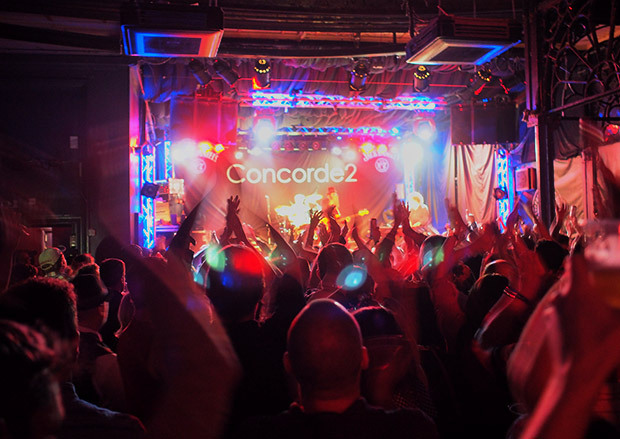 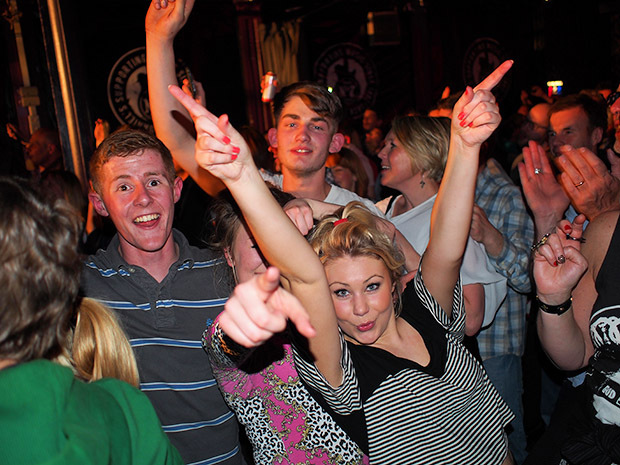 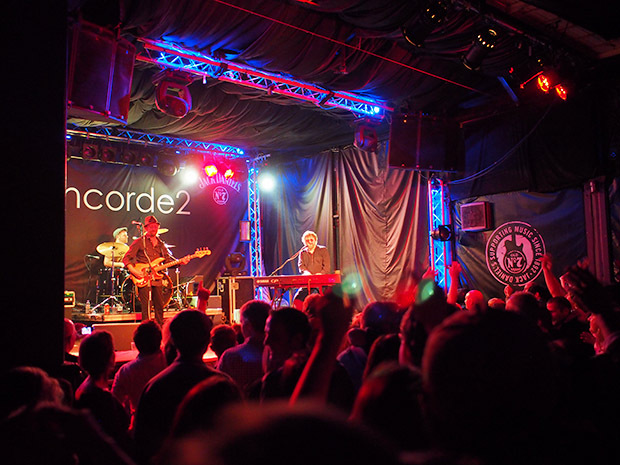 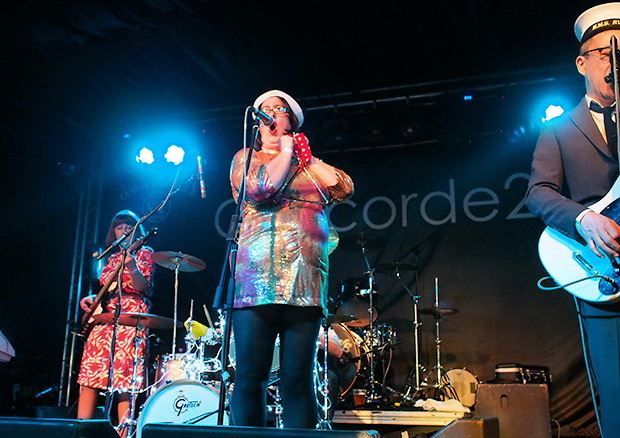 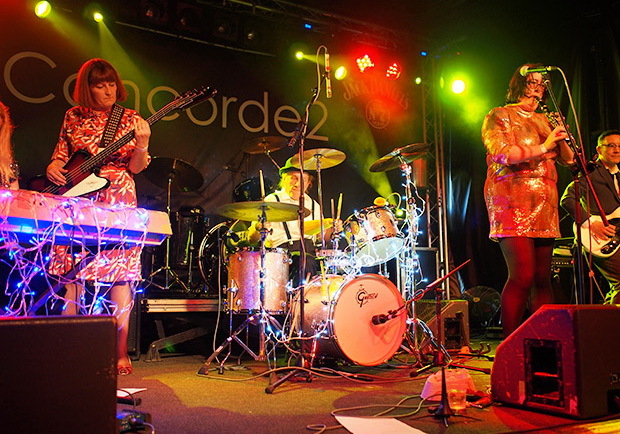 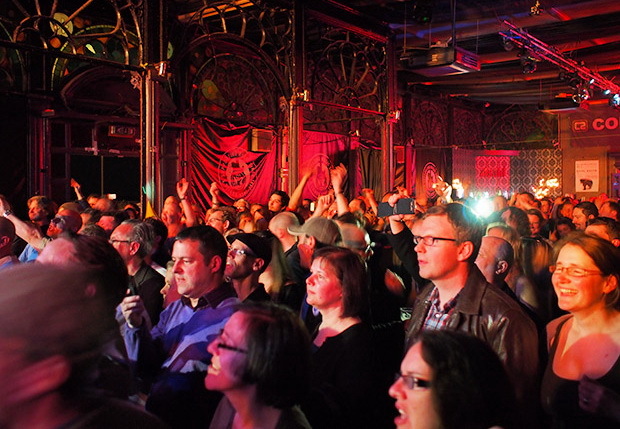 The Concorde 2 is a lovely venue, with a great sound system. 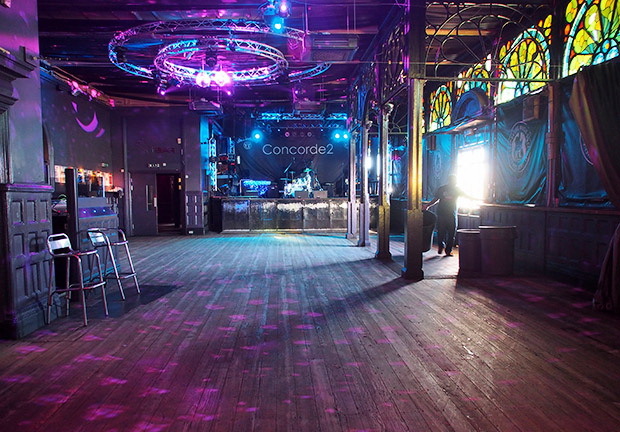 Here's the view when we were soundchecking. 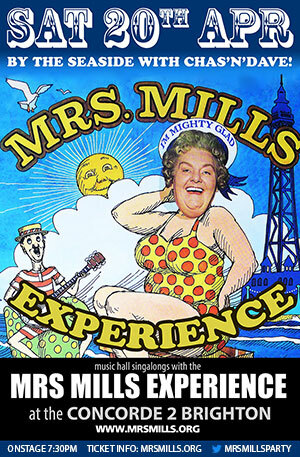 Mrs Mills Experience take the stage. 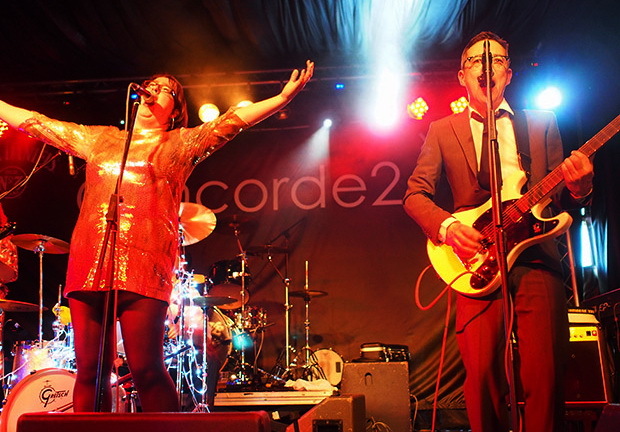 These two were fantastic fun. 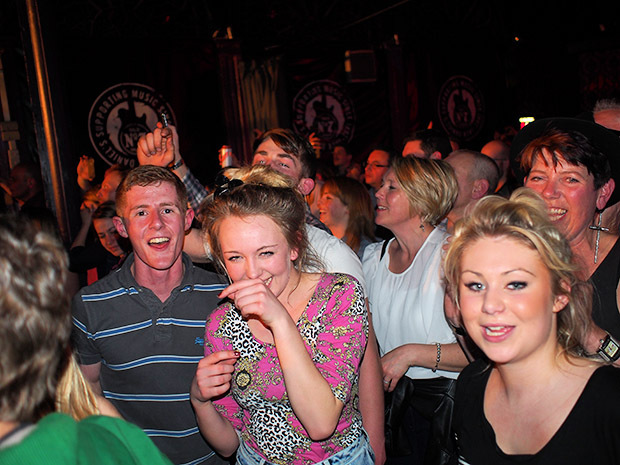 The crowd were lovely and sang along heartily to our tunes. 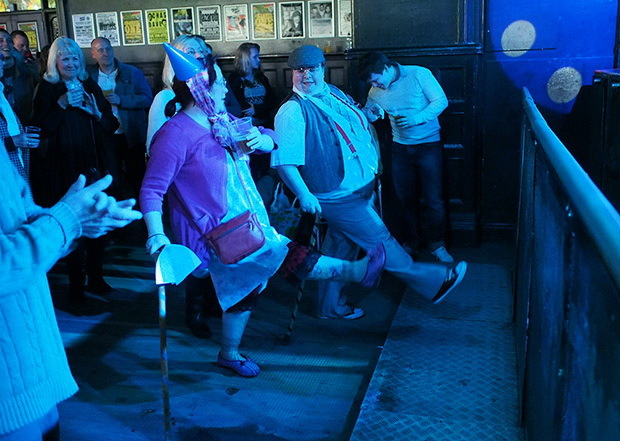 This guy was fantastic and didn't stop dancing from the start of our set until the end! 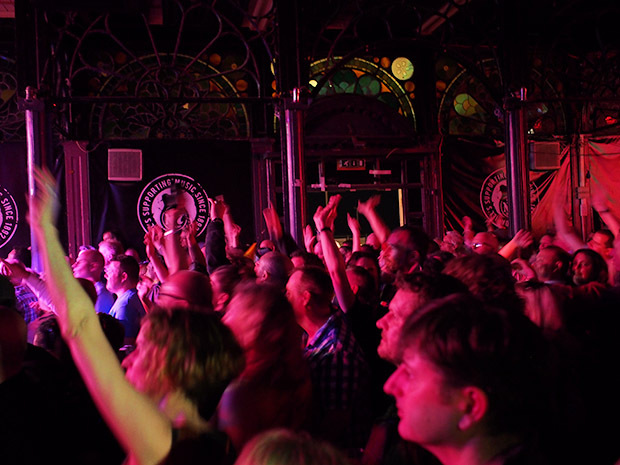 Thank you and good night, Brighton. 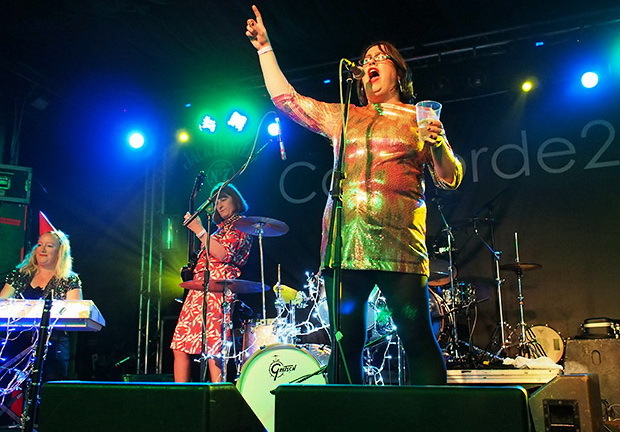 You were ace! 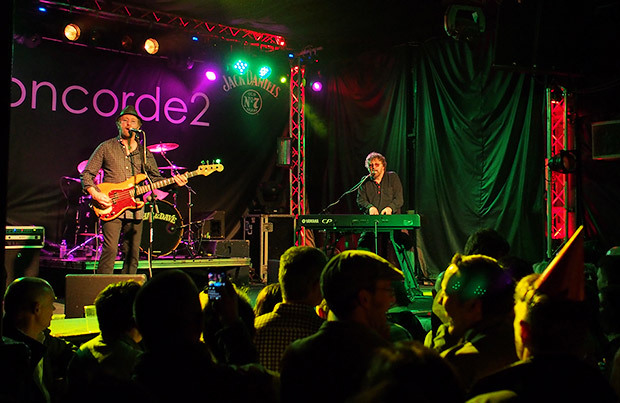 The magnificent Chas and Dave start up the first of their two sets. 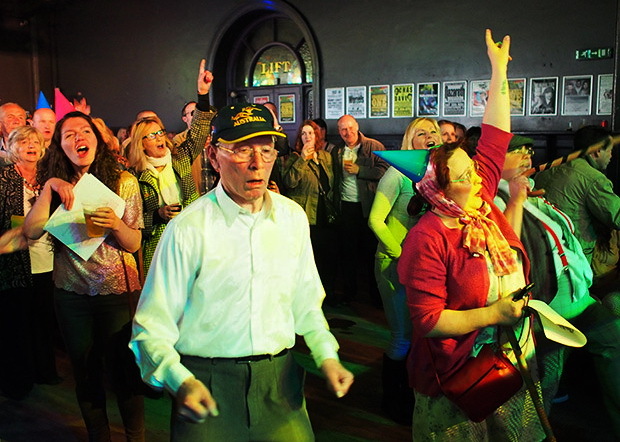 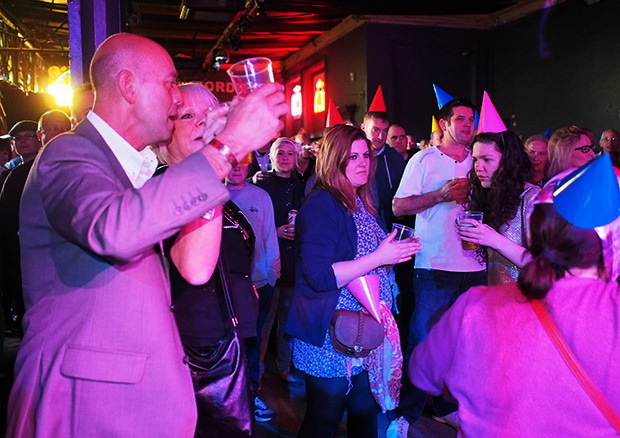 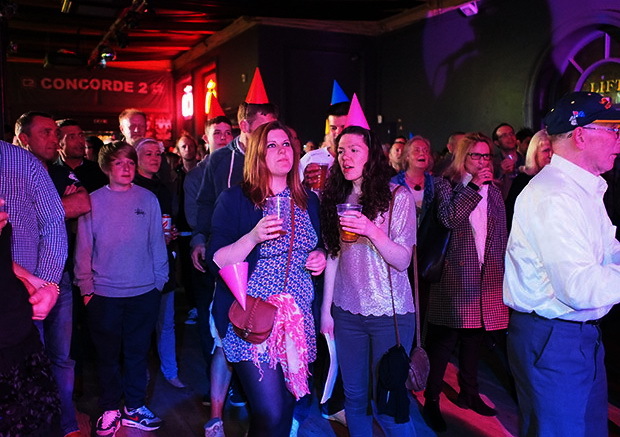 The crowd went wild for their old-time party tunes - as did we! 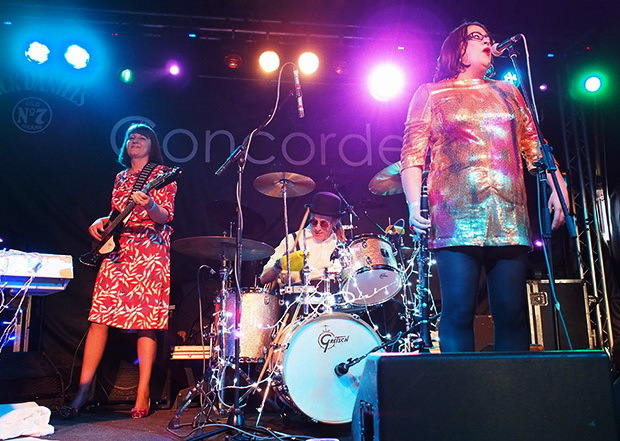 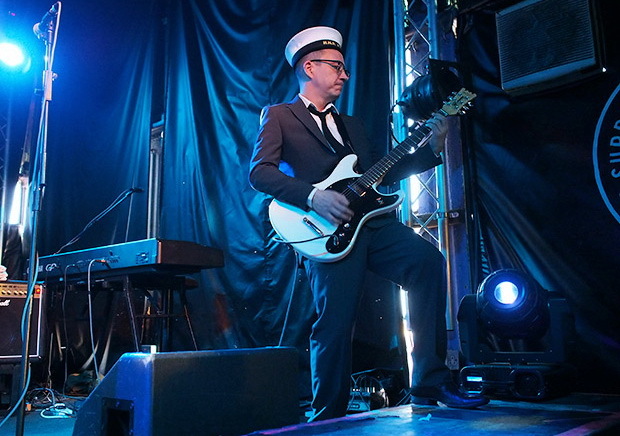 BIG THANKS TO: Mark for sorting out the show, Em for taking the pics, the soundcrew who were superb, the venue staff and, of course, to the brilliant crowd! 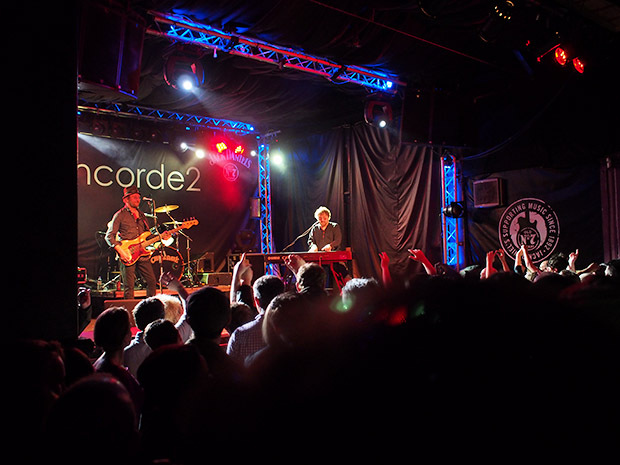 We hope to see you all again soon!